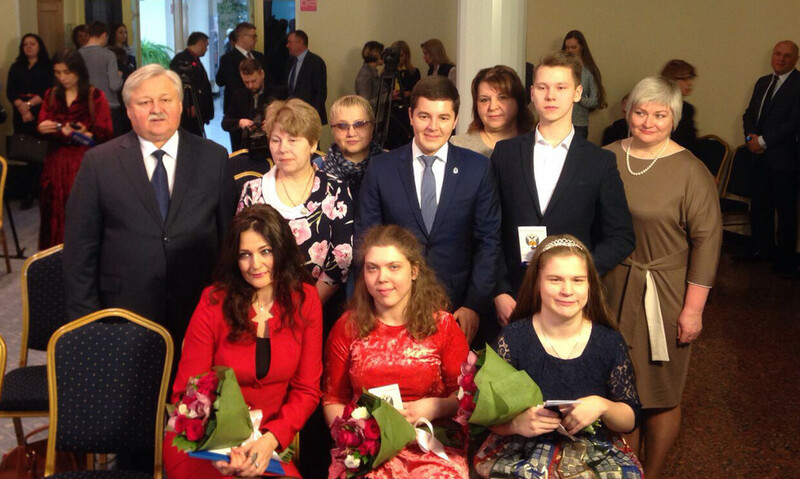 The governor of Yamal Dmitry Artyukhov delivered decorations of candidates for the master of sports of Russia to Anna Lukyanchuk, Ekaterina Yanechkina and her partner Danil Kravchenko. The young people have been busy with dancing in wheelchairs not for the first year: they circle in the Viennese Waltz or dance Jive and Cha-cha-cha. According to the information given to a correspondent of the news agency “Sever-Press” in the regional department of physical culture and sports, last year Anna Lukyanchuk and Danil Kravchenko became the bronze medalists at the championship of Russia in sports dances in wheelchairs. Another Yamal contestant Ekaterina Yanechkina was awarded with the special prize of the competition. It was their first performance at this level. Oksana Chumak is their coach.